You need to prepare some fast chicken dish? 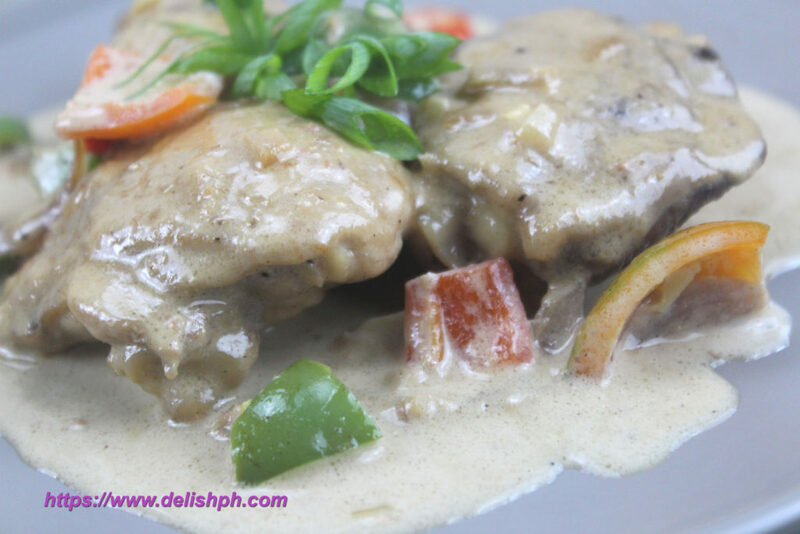 Try this Binagoongang Manok sa Gata recipe. The combination of chicken, shrimp paste and coconut milk will make your taste buds happy. Adding a bit of fresh chili for some spicy kick will seal the deal. It would even take you less than an hour to prepare this chicken recipe. 1. Heat some olive oil in a pan. Place all the chicken, sprinkle salt and pepper on both side. Cook until brown. Set aside. 2. On the same pan, sauté onion, garlic and ginger. Add in the shrimp paste. 3. Add back in the chicken. Then add the bell peppers and pour in the coconut milk. Season with salt and pepper. 4. Let it simmer for about 15 minutes. Lastly, add the chopped chilies. Simmer for another 3 minutes. I just find this chicken recipe a star every time I cook them at home. It is very easy and less complicated to prepare. And it’s absolutely tasty.